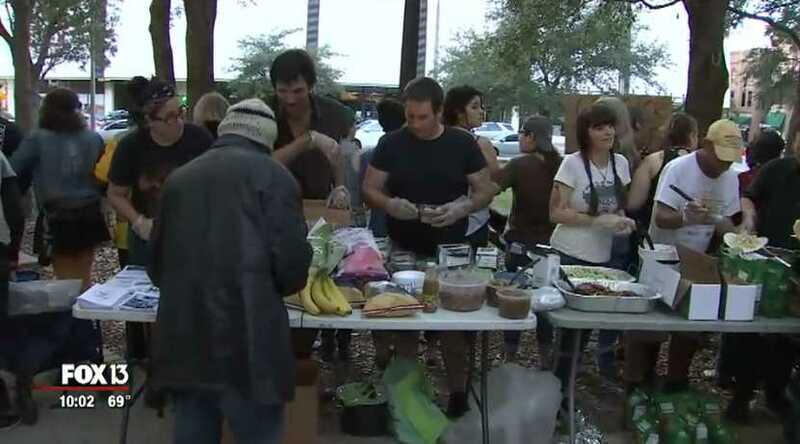 TAMPA, Fla. (FOX 13) — The City of Tampa and a group that regularly feeds the homeless is working on a compromise after volunteers from the group were arrested for feeding homeless people in a downtown park without a permit. Saturday the group, Food Not Bombs, hosted another free meal in Lykes Gaslight Park, this time there were no arrests. Last weekend, seven volunteers from Food Not Bombs were arrested after they defied Tampa Police orders to dismantle the food distribution operation.